Valerie Opher is a handloom weaver. 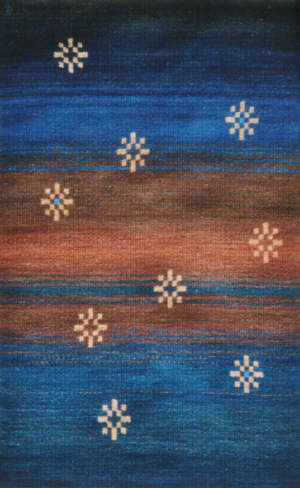 She produces her own designs after discussion with clients who commission her rugs. All her designs are based on abstract patterns in which the relationship of the different colours selected are of prime importance. 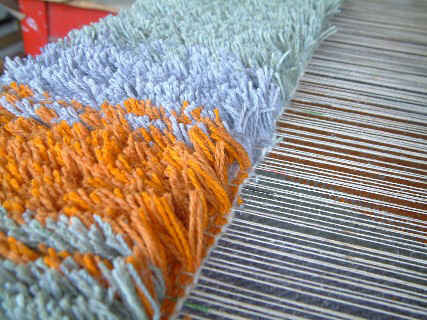 Rugs can be made to any size up to a maximum of 1.45 meters wide by 3.5 meters long using various flat weave or pile weave techniques. 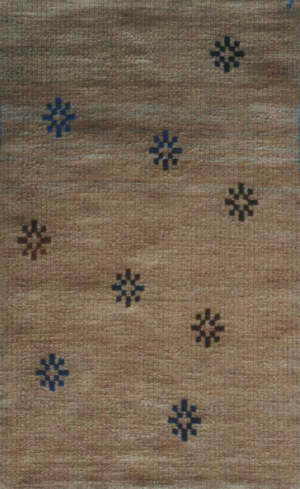 Natural materials are normally used; usually a linen warp is suitable for floor rugs while cotton warp may sometimes be suitable for rugs to be used as wall hangings. 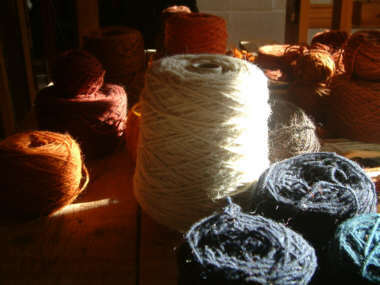 Wool is commonly used for the weft, either left natural or coloured with vegetable or chemical dyes. 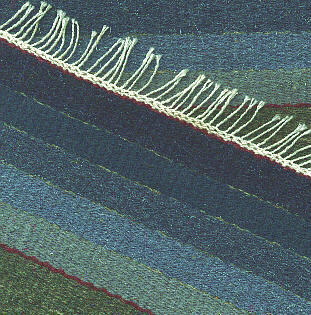 As an alternative, if suitable supplies are available, it may be possible to uses a weft made from rags. Valerie also runs courses usually lasting 4 days a one to one basis. Arrangements for these courses can be made at mutually convenient times. After weaving as a hobby for several years, Valerie took the Handweaving Diploma at Bradford College in 1980/1. She is a member of Oxford Guild of Weavers, Spinners and Dyers and Oxford Guild of Craftsmen. 1986	 Interiors Exhibition, Oxford City Library. 2002	 Rug exhibited at Hill House in the C R Mackintosh centenary exhibition "Inspirations". Valerie Opher's workshop is one in a group of four overlooking Hinksey Park which has a childrens' playground and swimming pool. It is within walking distance of Carfax, the River Thames and country walks on Boars Hill.